The SBCI’s press office facility is provided by the NTMA and Gordon MRM. If you are a journalist and you have a query about the SBCI, please email the press office team at NTMA@gordonMRM.ie.  Your interest is vital to change SME financing in Ireland for the better. You can express your interest here to keep informed of SBCI milestones and financial products. By submitting this expression of interest, you consent to the SBCI keeping you updated on its products and the overall implementation of the SBCI.